Between Suruga’s arm being free of the monkey paw, Numachi going missing, and Kaiki showing up, a lot goes. I’m very lost at to how Kaiki is still alive after Hitagi End: Part Six, but somehow he survived nearly bleeding out. Good thing too since, with Numachi disappearing, it seems Suruga could use her would-be uncle’s talents. Though there remains a bit of unease between Kaiki and Suruga, mostly due to Kaiki’s past. As for whether he is truly a family friend, or perhaps is deceiving her, only time will tell. As for the details of this episode, though, look below. While it has been established Suruga was a talented athlete before the monkey paw, it seems with it she was elevated to another level of athleticism. However, with it gone now something is off. First her balance, and maybe even her stamina. Either way, it seems without the Monkey Paw to weight her down, in more ways than one, normalcy maybe on the horizon. One thing worth taking note of when it comes to Suruga not having the monkey paw is: Now she doesn’t have any supernatural force to protect her or use for offense. Making it so, while very athletic, as seen later on with her encounter with Kaiki, it means she is now vulnerable. Making you wonder if something may happen to her, possibly leading to one of her seniors coming to her rescue. Seemingly, after Suruga found out Numachi was “the devil,” she has disappeared. Though it seems her disappearance was a long time coming due to her losing her sports scholarship for school and her family needing to move. However, between Suruga likely still having feelings for her ex, Ougi speaking on her sudden disappearance, and former teammate Higasa not providing any idea where she is, it seems the story will shift to finding Numachi. Is it just me or 2nd to an apparition causing trouble, someone going missing is the next storyline we usually see in any of the Monogatari seasons? Which isn’t necessarily a bad thing, after all, this season is only 5 episodes, but it is an odd repeated trend. 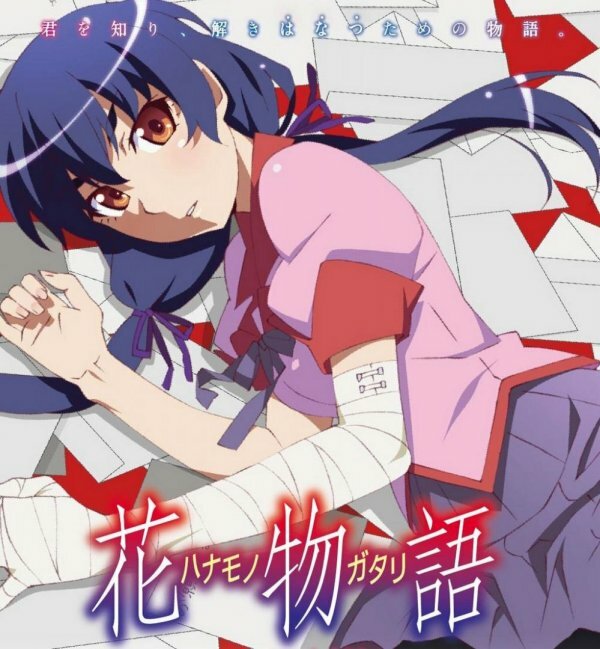 Still, being that I would love for a nice romance between Suruga and Numachi, I hope in the end she finds her and, at the very least, they end up long distance friends or something. Apparently, it isn’t just Suruga’s aunt Kaiki knew, but also her mother. A woman he seemingly was in love with but, due to him already dating someone, they never ended up together. However, it seems they were close enough for Suruga’s mother to ask of him to look after her. Hence the meeting since he wants her to know he is there for her, as well as not to use the illustrious monkey paw. Setting aside not knowing how the hell Kaiki is alive, I truly find his obsession with the Gaen family to be highly interesting. For between Izuko and him, which remains complicated, to his love for Suruga’s mom, the man seems weirder every time he pops up in a new arc. But considering how Numachi was the one who helped him get to Suruga, it seems he will likely be sticking around for a while. Now, whether he will help her or scam her, though, that is hard to say.